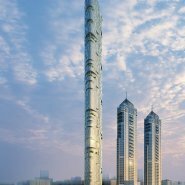 At 116 stories and 400 meters tall, Imperial Tower was designed to be the tallest building in the city and a prototype for Mumbai, a densely developed but mostly low-rise metropolis whose urban future revolves around tall residential towers. 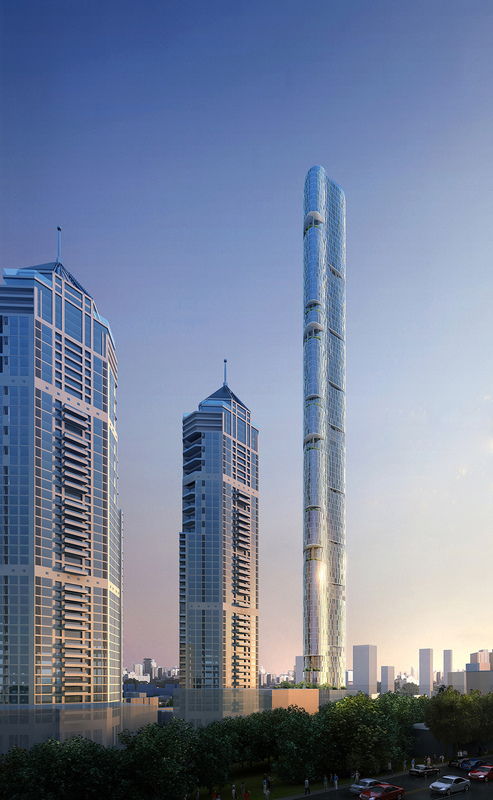 The softly curvilinear form of this tall, elegantly slender tower is aerodynamically shaped to “confuse the wind,” minimizing the negative effects of wind action on the tower. 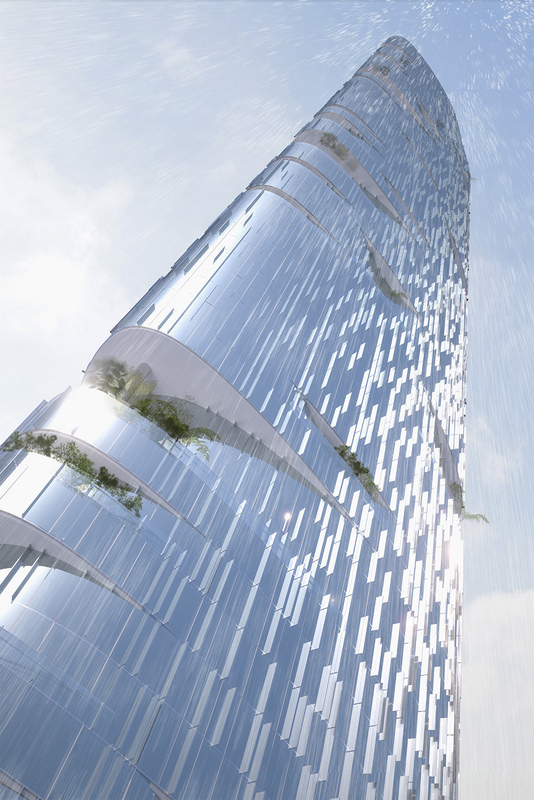 Wind vortex shedding is also mitigated by the north- and south-facing sky gardens, which break up wind currents around the tower. 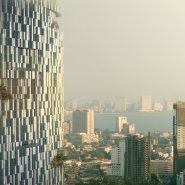 The sky gardens also provide unprecedented access to light, views and connection with the natural world that are unprecedented in Mumbai. 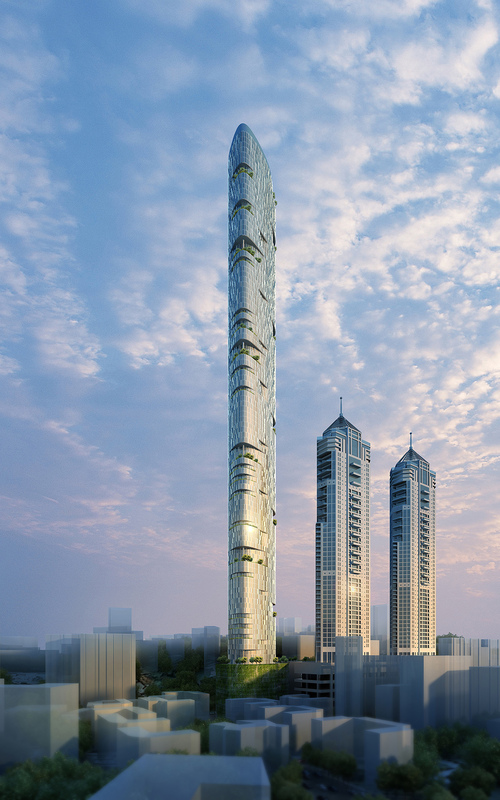 Imperial Tower will also offer the most spacious and luxurious residences in Mumbai. 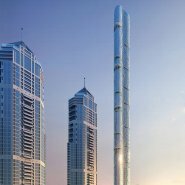 The 76,272- square-meter tower includes 132 residential units of between 195 and 1,115 square meters, along with serviced apartments of between 72 and 252 square meters. All of the upper-story condominiums offer breathtaking views of the Arabian Sea. Architecturally, the exterior wall provides a strong visual contrast with the heavy masonry cladding of most surrounding buildings. 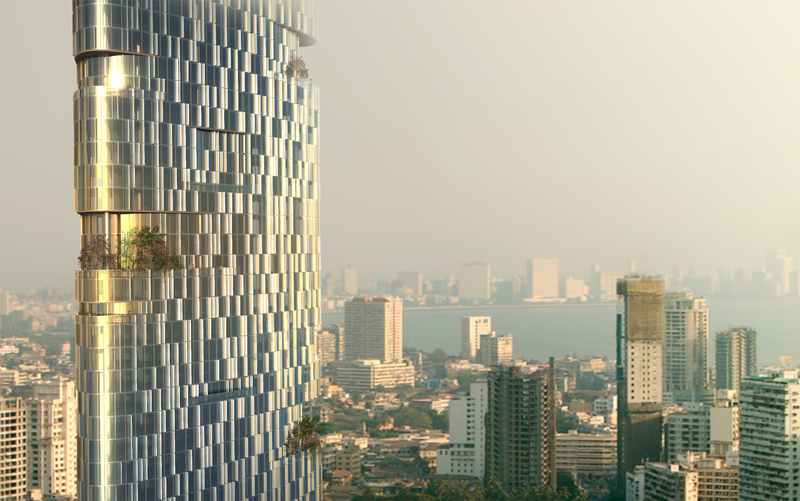 The exterior wall is highly sustainable, blocking heat gain and diffusing direct sunlight in the hot and humid climate of Mumbai. 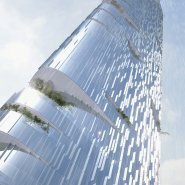 The sustainability of Imperial Tower is also evident in its treatment of water, one of the area’s most precious resources. Water from mechanical systems is collected and treated as greywater; rainfall is also collected for re-use by the units. High-efficiency mechanical systems, a green-wall podium and the use of native plants in the landscaping and sky gardens also adds to the project’s sustainable performance. AS+GG is also exploring a plan for kitchens and bathrooms to be pre-fabricated, possibly at a nearby mini-factory that would train a new local workforce.